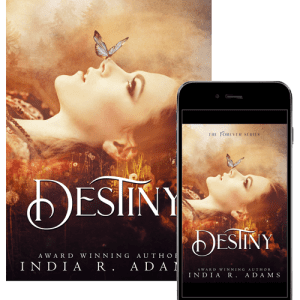 CHANGES IN AUTHOR, INDIA R. ADAMS, BOOK RELEASE SCHEDULES! In 2016, I became a published author, releasing 2 novellas (Blue Waters and Black Waters from the Tainted Water series), 2 novels (My Wolf and Me—a “supposed to be” standalone, and Steal Me, a Haunted Roads novel), and two epic sized novels (Rain, A Stranger in the Woods novel, and Serenity, the first novel in the Forever series) in the time frame of 6 months. How is this possible? So many books in such a short amount of time? I had been writing for approximately 8 years, prior. Including the next books to be released. 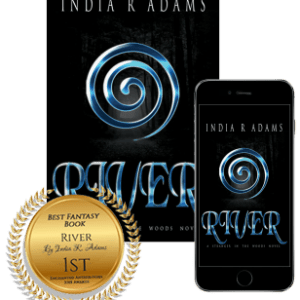 In 2017, India’s Productions was scheduled to release Red Waters (The 3rd novella in the Tainted Water series), Scar Me (the second novel in the Haunted Roads series), River (the second novel in A Stranger in the Woods series) and Destiny (the second novel in the Forever series). So far we have released Destiny and River is predicted to be released late December. But, do to some outside professional interest in the Forever series, the order of next releases (Red Waters and Scar Me) have changed. For my Forever series lovers, this is good news. Not only is 2018 going to be the year of releasing novels from the Forever series but 2 more novels have been added! THE NEW ORDER FOR THE FOREVER SERIES! And, thanks to persistent and wonderfully opinionated readers, there is a novella in the works: the beginning stories of the Crew. (Yes, more Sky!) I will soon give you guys more information. 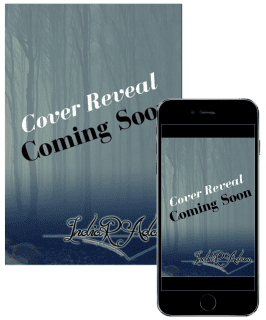 Now, for the readers waiting for more of the much beloved series’, Haunted Roads and Tainted Water, I have good and bad news. Red Waters and Scar Me will be a year behind schedule. For that I can only offer my sincerest apologies. I miss Link, Whit, Maverick, Tucker, Lilah and V something awful! And they want you to read more of their journeys! But the wheels of fate are spinning… But, that doesn’t mean I haven’t hidden some surprises! 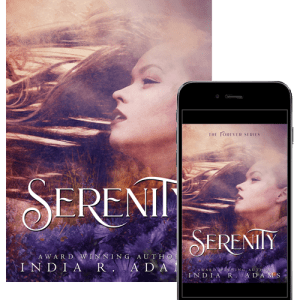 In Serenity, if you pay attention, you will read a mention of Link’s name. Is it possible he and Whit will eventually make an appearance in the Forever series? AND, if you pay attention to a certain chapter in Destiny you will receive two clues of what’s to come in Scar Me. One is a “I paid attention to little details India wrote is Steal Me and saw that coming…” but the other one is somewhat huge! That’s all I can say about that. Yes, I just had a Forrest Gump moment. I hope this news and announcements bring smiles to all faces! 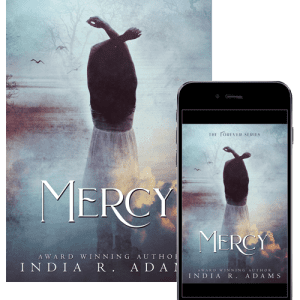 https://indiaradams.com/wp-content/uploads/2018/02/facebook-banner_orig.png 315 828 India Adams https://indiaradams.com/wp-content/uploads/2018/06/Working-IndiaAdamsLogo-nographic.png India Adams2018-02-08 18:52:502018-02-09 22:17:11CHANGES IN AUTHOR, INDIA R. ADAMS, BOOK RELEASE SCHEDULES!